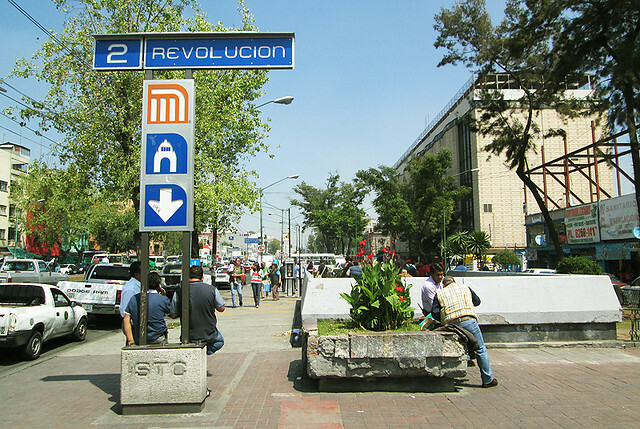 The plaza and street outside the Revolución metro stop near downtown Mexico City used to be bustling nearly 24 hours a day, with over 60 stalls selling everything from tacos and magazines to toiletries and educational posters. Since recent changes to the street vending code – and a night-time police crackdown on June 22nd that shut down all those vendors violating the new rules – the space has been much quieter. About two thirds of the vendors are protesting the crackdown by refusing to do business. This space used to have dozens of narrow street stalls. Street markets, under bright red and blue tarps, are a signature look of Mexico City streets. They may appear haphazard, but they are actually tightly organized and subject to rules that change by neighborhood. The level of scrutiny paid to these markets depends on the mood of city officials. Recent efforts to address prostitution and drug dealing have largely manifested in new rules that reduce the size and limit the schedule of street markets – most famously, in the city’s historic center. The conflict in the Revolución plaza is also between rival groups of vendors competing for the same space. One group of about 20 book-and-CD vendors claims the city is offering them a less visible stretch of sidewalk in the plaza’s new layout because a rival group (of electronics vendors) bribed local officials for more sidewalk space. They are boycotting the area until the city proposes a layout that lets them keep their current designated spaces and booth sizes. The plaza’s food vendors are also boycotting the new layout. By refusing to sell, these vendors are demonstrating what the plaza feels like without their presence: more open, yes, but also quieter in the day and much darker at night. 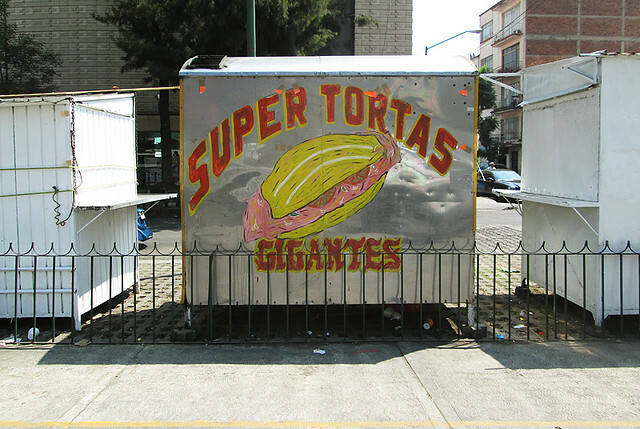 They are taking a stand for what they contribute to the street experience in Mexico City. And the nearly empty plaza, with just one cluster of electronics stalls at the far end, hints at the hidden politics of street vending. Post and photos by Samantha Kattan.